Some bad news I’m afraid we have had to cancel the dig scheduled from the 3rd to 10th July at Crick, basically this decision has been down to the mild weather we have been having so far this year. The field we had hoped to investigate is permanent pasture let out by the landowner to another for grazing stock, the intention being that we would move in after the hay crop and cattle were removed. Unfortunately the warm weather has encouraged the tenant to utilize the land for grazing throughout with no hay or silage crops – the vagaries of farming! After a full discussion in the Organising Committee on Monday (I only received the cancellation from the farmer on Sunday morning at 08.00hrs) we agreed that it was not possible to organise an alternative ‘dig’. 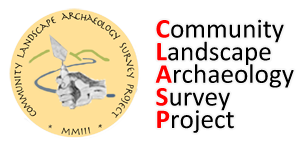 It is essential that we still have something between these dates, we have decided therefore to offer an archaeology week, including over the weekend; the week will consist of various activities, for example training, research sessions, desk top assessments etc. What would you like to occur? The event will be held in our new Clasp Field Centre at New Creation Farm, Nether Heyford. There will still be other opportunities for field work later in the summer. More information about the ‘Week’ will be publicised as soon as possible.